I’m here, standing at the helm of my happy-boat, but, I’m starting to realize — I have no idea how to steer this thing. I’m fighting my instinct to return to it: Survival mode. It’s not my fault. It’s built into my most intricate hardware. My skills have been honed and they’re ready and waiting to save me from imminent disaster. For years, I’ve just kept rowing. I never thought I’d know the day when I’d be able to slow down and sit tight. But, I’ve never really seen calm water. I’ve heard about this place, but, I didn’t think I would actually end up here. And, for the first time in recorded history, it appears that my boat is not taking on water. Could this be the moment when I get to ease up and let the current pull me where it pleases? Because, if it is, I’ve gotta say, it’s strange not having any kind of game plan. And, what’s even more bizarre, is to think that — for me to get here — a game plan of mine actually worked. It feels like a miracle. What is this place? Is it real? Do they have dark chocolate? They must. I shift my weight and find my balance. I start to trust the water that keeps me afloat. Suddenly destination-less, I learn that there isn’t a finish line to race toward — and there never was. I breathe out a sigh I’ve been holding onto for ten years and I’ve never felt so still. I notice my own, small movements in ways I never have before. In 12-Step meetings they’ll tell you to slow down. — Just stop. — Stop drinking. Stop drugging. Stop talking. Stop squirming. Stop planning. Stop apologizing. Just be. And, when you do — it’ll all fall into place. Maybe it’s true, and maybe it isn’t. I don’t know if everything fell into place because I got sober. But, I see now how rowing against the wind has made my arms strong. In sobriety, one thing’s certain — I’ve taken responsibility. — For my life. For the things I’ve done. For who I’ve been. For what I’m becoming. And, most importantly, for who I am. I have learned to keep myself afloat under fire. Addiction has always been my escape plan. A justification. An excuse. A short-term gain. A way of bending time that wasn’t mine to bend. For a long time, I was rowing in someone else’s boat. And, truthfully, I couldn’t tell you whose it was. But, it always had leaks I could not repair. Because, when you’re in someone else’s boat, you’ll never have the tools to fix all the damage. A good sailor knows her own boat best. Sobriety built my boat’s skeleton. But it was me who spent years sanding plywood and plugging holes. And, while I floundered off shore — I learned to steer. Clear skies and smooth waters — it still feels wrong. From my happy-boat, I cast my eyes to the horizon, looking for the next storm. It’s not pessimism — it’s boat-smarts. Just the remnants of a survival mode that was once my default. But, with every new ship we build, we dismantle another. So, I steady myself. I let the current pull me where it would have me go. Because, one way or another, it all falls into place. 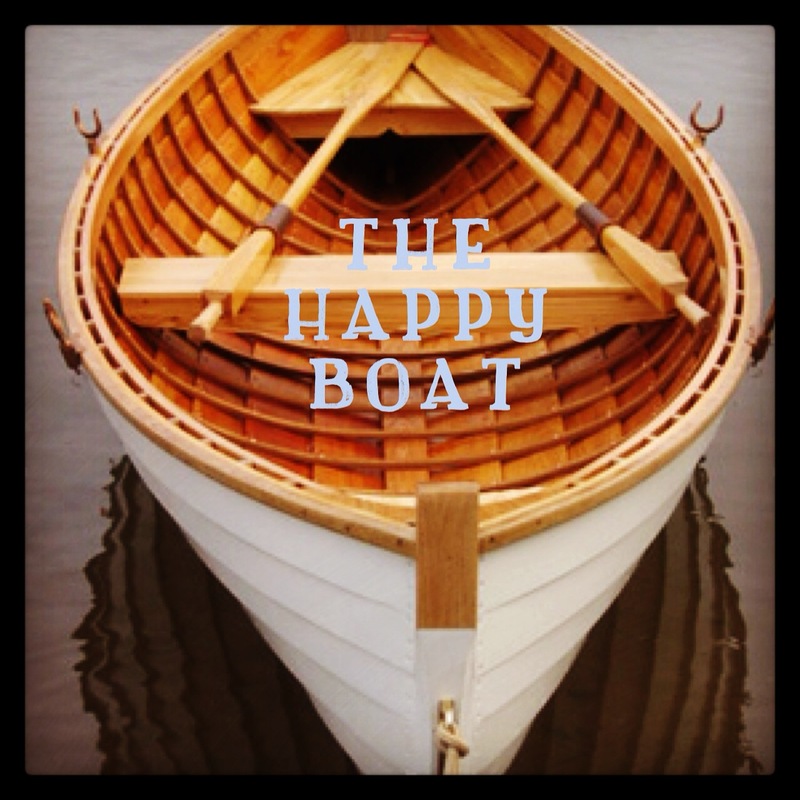 Like the weathered paint on my happy-boat’s bow, my fear dissolves into the lapping water. And, I pull up my oars.